As of lately, users are gradually becoming more and more concerned about their privacy. Many surveillance methods used by agencies and governments are applied indiscriminately, neglecting quite a few of our most fundamental rights. Encrypt your communications for greater privacy. Removes metadata so that nobody knows who you are or what you're talking about. Doesn't share your identity or location. 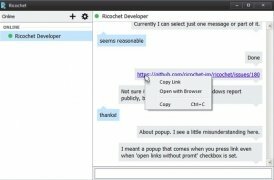 Your messages don't travel around any intermediate servers. Privacy and security settings established by default. 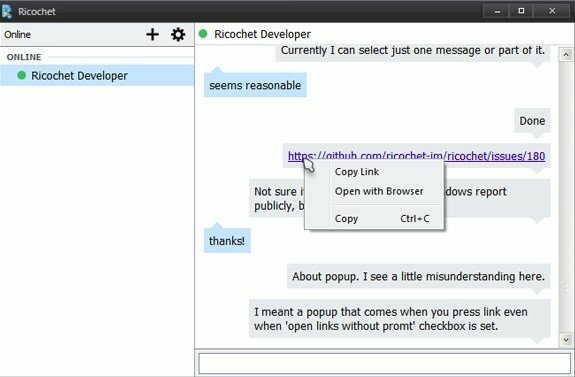 How does Ricochet Instant Messenger work? 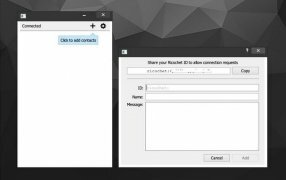 The app communicates by means of the Tor network generating hidden services that don't reveal our IP when communicating with our contacts. Instead of usernames, unique addresses that generate petitions to our contacts are generated.